Dr Stolarek joined the Health Quality and Safety Commission New Zealand (HQSC) in January 2015 as their new Medical Advisor. She was previously the Chief Medical Officer at Hutt Valley District Health Board (DHB) from 2010, extended to include Wairarapa DHB in 2013. 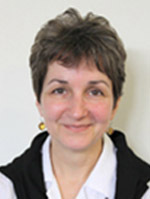 Dr Stolarek graduated from the University of Edinburgh Medical School, who worked as a consultant general physician and geriatrician in Scotland before coming to New Zealand in 1999. She was appointed a consultant physician at Hutt Valley DHB in 2000. Dr Stolarek became Intern Supervisor because of her strong interest in medical education, and helped set up the skills laboratory at Hutt for junior doctor training, which won a Health Innovation Award. An interest in service improvement led to the establishment of nurse-led clinics, also recognised by the Health Innovation Awards. Ongoing interests in clinical governance and systems improvement led to her appointment as the Chief Medical Officer and subsequently to her new role at HQSC.